Today I'm here to share an altered project that I did for a swap that I am in at Kraftie Kreations. 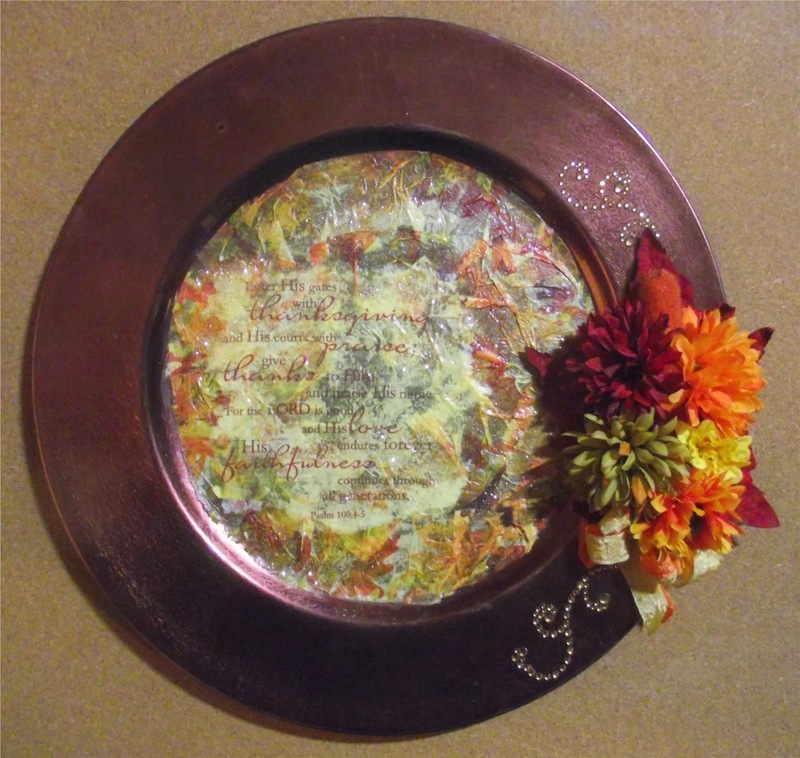 We were to alter a fall colored charger plate. I found a lovely bronze one that I really liked. I picked up some large sunflowers (which I ended up not using), gold wire-edged ribbon and a variety of silk leaves. 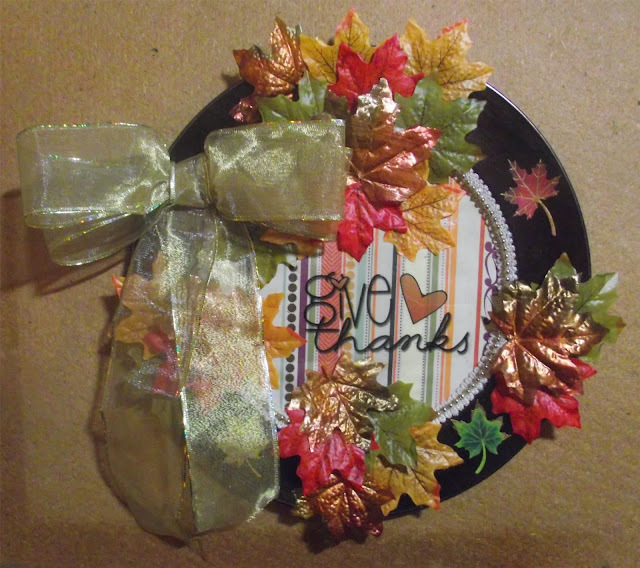 When I got ready to work on it I chose some patterned paper with a fall theme and a sticker that read 'give thanks'. After applying the patterned paper and words I decided that I wanted to edge it with some ivory braid and gold pearls. Next I arranged the leaves in different bunches along the outer rim of the plate several times until I was satisfied. I made a nice large bow and I found a few leaf stickers that I thought would also go well and added them in-between the clusters. As I was busy preparing mine for shipping to my partner I was thrilled to receive this one from my partner, Cheri Parish. I couldn't believe that we had both selected the same bronze charger! I was thrilled. I can't wait to find a special spot to display it. It may be hard to see in the photo but it has verses 4-5 of Psalm 100 on it. What a perfect reminder of God's love for this season of giving thanks. I hope that Cheri will enjoy my creation as much as I am enjoying hers. What a terrific idea! And now I've got two versions here to inspire me!